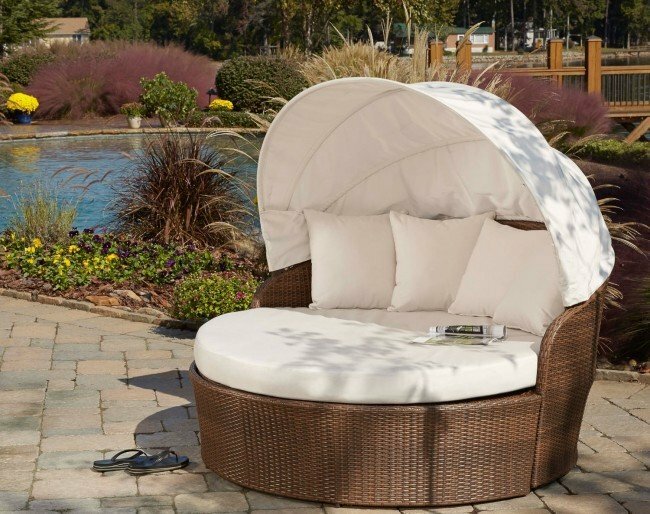 Dive into your own tropical oasis with the Panama Jack Key Biscayne Canopy Daybed with cushions. Hand-woven with a branded Viro fiber and constructed with a rust-free aluminum frame, this daybed will give you years of use for you and your family and friends. Easy assembly will be having you enjoying this daybed in no time. Add that look and feel your patio area has been asking for.